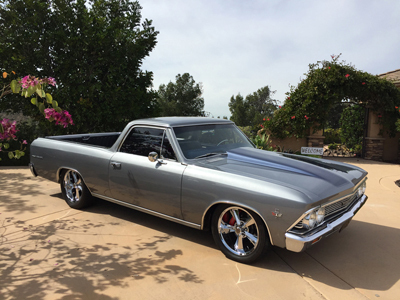 Here are just some features of the 1966 El Camino. Professionally Built. To drive and show. ZZ385 Crate Motor W/Fast Burn Heads. 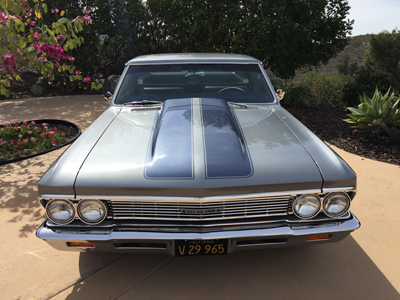 Tremec 5 Speed Stick Transmission. Wheels 17" Front. 18" Rear. Every Piece Of Stainless Trim Is New. 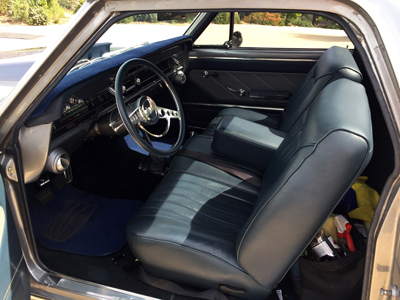 All Of The Interior Is New. Very High End Exterior Paint. Graphics(painted on) Are Clear Coated W-Smooth Transition.